If you had access to any gear, some of the most creative minds in the outdoors world, and the machinery to make anything, what would you carry in your pocket? It would probably look a lot like Ben Rivera’s pocket-dump. Rivera is the president and head of Leatherman Tools, and this is what he carries every day. 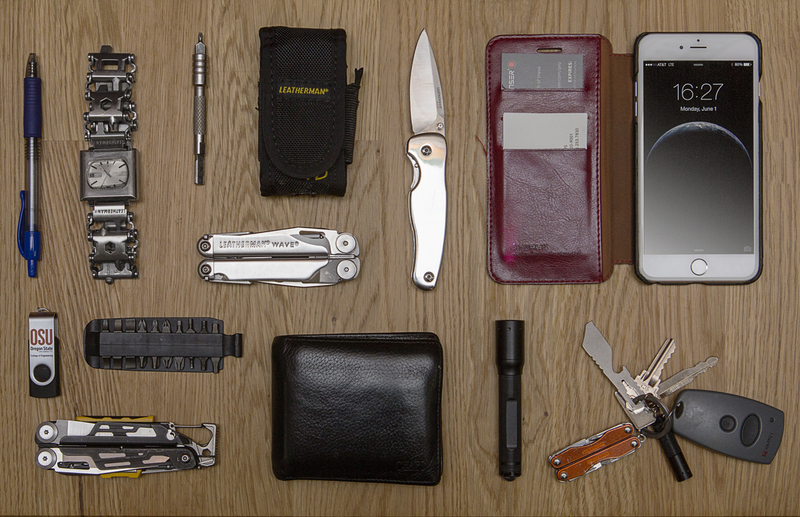 Leatherman Tools, founded and run for years by Tim Leatherman (yes, that is his real name), has produced some of the finest, best-designed multitools in the world. The company has re-imagined what multitools could be, has a dominant market presence, and they do all of this with a made-in-the-USA ethos. While Tim still plays a role in the company, day to day operations at Leatherman are handled by Mr. Rivera. 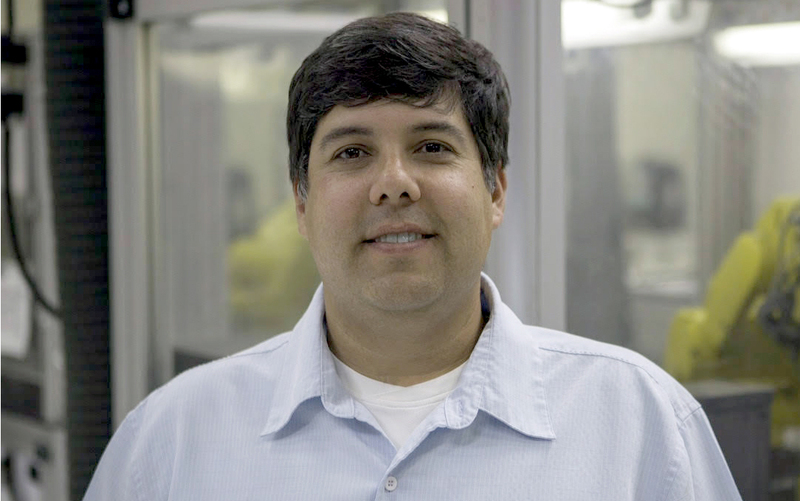 Rivera has worked on a number of tools for Leatherman and his name is all over Leatherman’s impressive intellectual property portfolio. If it came out of Leatherman in the past 10 years, there is a good chance it has Rivera’s name on it. So, what does Ben Rivera carry on a daily basis? 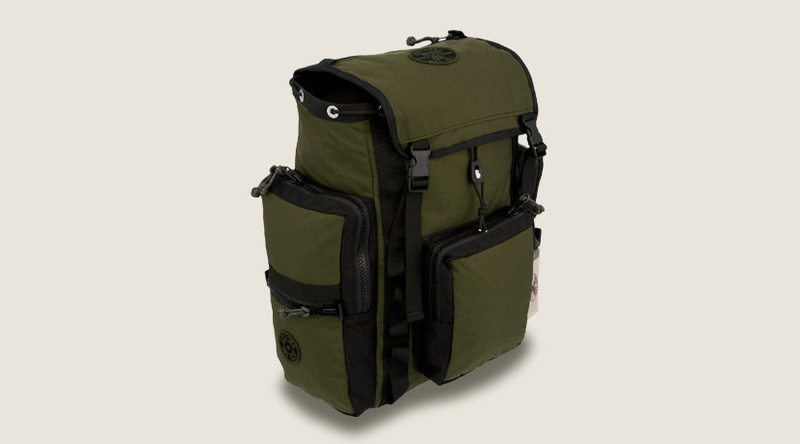 The second EDC level is what Rivera carries in his backpack (which is with him constantly, and is a custom American-made Red Oxx rucksack). Some unique items in his pack are several LED LENSER flashlights and a passport with enough dollars and Euros to buy a plane ticket if needed. It also holds a modified Skeletool CX (below) with a special bit driver to hold longer Leatherman bits. This is the tool that caused Rivera to get “politely escorted” out of Disneyland, he told me — and it was that incident that sparked the idea for an accessible, travel-friendly wearable multi-tool (this idea eventually became the Tread, a bracelet multi-tool coming to market this summer). Rivera drives a 1984 Toyota Land Cruiser, on the tailgate of which the above photo was taken. 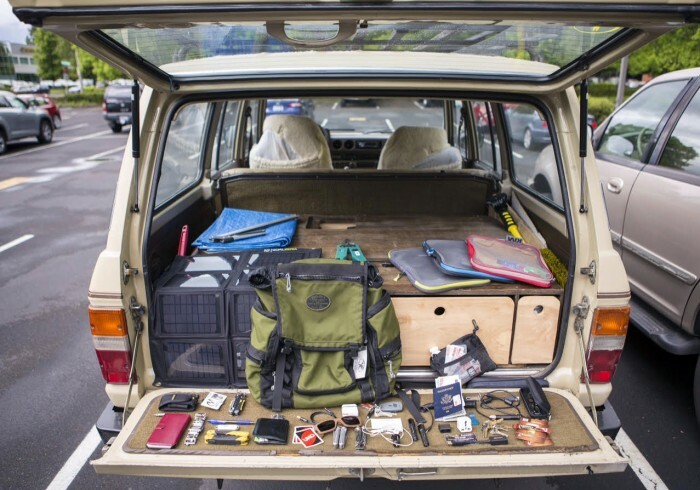 He considers this vehicle to be a third-level of EDC. Years ago, he used his second paycheck from Leatherman for the down payment (his first paycheck paid off a $600 college loan). The drawers in back are custom-made to hold everything he’d need for any situation. Just a few of the items: a Goal Zero solar panel, plenty of twine, Leatherman Genus pruners, saw, UNO cards, bottles of water, a portable BBQ, and for entertainment out there, some Matchbox cars.